Known for his passionate performances, Wynn Walent’s music exudes a quiet confidence and a simple sincerity. Wynn's songs are melodic and heartfelt and he delivers them with an urgency and purity that is captivating and endearing. Fueled by an early love of timeless acts such as Paul Simon and the Beatles, Wynn was always singing songs, and began playing clubs and coffee shops throughout his hometown of Richmond, Virginia at the age of 14. 2004 saw a move to NYC, where he quickly planted roots at prominent Brooklyn and Lower East Side venues such as Galagpagos Art Space, The Living Room, Rockwood Music Hall and Pianos. 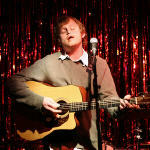 Here, he has developed a local fanbase who enjoy his brand of melodic and sincere songwriting. 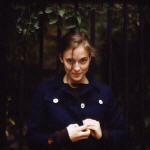 Dawn's music comes from the mouth, mind and hands of New York-based singer-songwriter Dawn Landes. Reminiscent of the raw traditionalism of Woody Guthrie and the experimental alt-folk lyricism of artists like Joanna Newsome, the Louisville KY native plays a variety of instruments (8-dollar guitars! pink accordions! glockenspiels! optigons!). Whether she's performing by herself or with accomplices (members of the bands Hem and The Earlies), her live show brings moving silence to the crowd and has caught the attention of a number of popular touring artists who've taken her on the road. In addition to her gig performing with Rounder recording artists Hem (backing vocals and Glockenspiel), Dawn has supported the likes of Jose Gonzalez, Suzanne Vega, Le Tigre, Rainer Maria, Andrew Bird, Feist, M83, Jane Siberry and Shannon Wright. Dawn's self-recorded and self-produced album "Dawn's Music" is available in Europe through French label Ocean-Music, and can be purchased in America if you go to a show (well, its also available on CD Baby). British label Boy Scout Recordings released a mini-album called 2-3-4 in Europe this summer, and Dawn recently finished her second full-length album Fireproof, which is available exclusively in the US through Other Music (more info on Fireproof coming very soon). Dawn will be touring Europe in May 2007 so be sure to check back for tour dates. Oh, we almost forgot! Dawn's day job is as a recording engineer, working with such renowned artists as Hem, Philip Glass, Joseph Arthur and Ryan Adams. 9:30 - Cross-Pollination set ft WYNN WALENT & DAWN LANDES! !